I am Completely and Utterly Obsessed with the show, Lost. I mean OBSESSED. UTTERLY. And COMPLETELY. I live for Wednesday nights and watch each episode at least Three Times, sometimes in Super Slow Motion, searching for Clues as to What May Happen Next. And then, of course, I Read The Message Boards. And sometimes I even Post On Them, too. I am such a Geek about the show, Lost, I am actually considering attending The First Annual Lost Convention early next year. People, I may need to send out My Own SOS. Naturally, after every episode, I like to search out Other People who have seen the show so I can Talk About What Happened. 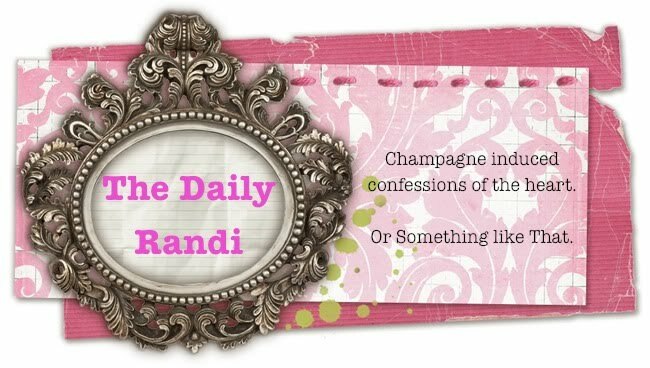 And by, Talk About What Happened, what I really mean to say is that I Like to Discuss My Own Completely Accurate Ideas About What Is Happening On The Program Until You Are Convinced That I Am Right And Then Say, "The Daily Randi, You Are Right." See, I harbor A Theory that one of the characters, Kate, is Not Who She Seems To Be. I think she is A Mole on The Island and may even have A Secret Identity. I have been saying this since Day One and when No One Believed Me, I went to My Lost Season One DVD Collection and watched Every Episode Again, Taking Notes, Collecting Evidence. Yet, still, No One is willing to Accept My Very Well-Researched Findings as Proof. Despite their Complete Thoroughness, Other Fans have had the nerve to Dispel My Ideas! When they Argue with me, I get Really Angry, Frustrated, and Passionate. "You don't know what you are talking about!!" I scream after them as they Run Away, searching for Cover. "Don't come to me when you realize I Told You So!" This isn't the best way to Make Friends. In fact, lately I have noticed that on Thursday Mornings, people who had previously Enjoyed Discussing The Prior Evening's Episode With Me scamper away in other directions when they see me Marching Towards Them, Lost Notebook in hand. "Did you see The Show last night?" I shout after them, shaking My File Of Proof! "Can't talk!" they holler back. "Cable Went Out!" Now, even Good Friend Who Always Takes Me Out When A Boy Doesn't Call Refuses To Discuss Lost with me! "No, I didn't watch The Smoke Scene in Super Slow Motion. And I have no interest in looking at Your Screen Caps. I have A Life," she reprimands. And the other evening at My Knitting Group, when two of the members began Their Regular Weekly Discussion Of The Show, they Pretended Not To Be Able To Hear Me when I started to add in My Two (Absolutely Accurate) Cents! And they were sitting Directly Next To Me! Well, that's Okay. They can Ignore Me and Pretend They Think They Know All The Answers, and Refute Every One Of My Theories. But, one day--maybe This Season, maybe Next Season, Who Knows -- but someday soon, I predict An Episode will air Proving All My Ideas about The Plane and Kate and The Island and The Smoke One-Hundred Percent Correct and Watch All The Naysayers come Running Back In My Direction, All Excited To Be Talking To Me, The Smartest Lost Fan Of All! Oh, Yes, it is Certain To Happen! Unless, of course, well, maybe, I am So Totally Wrong About Everything.